Innovation in the transformation of the city.  The purpose of the Porto Innovation Hub (PIH) is to bring together all the innovation agents of the city and the region, and to involve the citizen more and more in the process of continuous evolution and improvement of the city, thus calling for more active civic participation. PIH also plays a key role in the development of the innovation strategy in the internal context of the Municipality of Porto, involving its employees in the transformation and optimisation of strategies, processes and services. Through the organisation of actions and activities of “positive contamination”, PIH seeks to facilitate the design of experiences and interactions with potential to connect and generate significant value for the citizen and for those who manage the city. In addition to pretending to be a catalyst for creativity and innovation, PIH challenges everyone to use the office space as a means of experimenting and exploring new ideas, concepts, services or products for the city. “Innovation in city transformation” aims to demonstrate the potential of innovation, by showing the direct impact on the improvement of the quality of life of citizens, on the contribution to the creation of qualified employment, and the projection potential of the city to new levels of development. “The Innovation in the transformation of the city” proposes the creation of new scenarios and opportunities for innovation at an urban scale, contributing to the innovation culture of the city and encouraging the citizen to assume the role of engine of innovation.